The five Great Lakes – Superior, Michigan, Huron, Erie and Ontario contain more than one-fifth of the planet’s fresh surface water, and together are the largest body of freshwater in the world. They also connect some of the most exciting destinations in the US and Canada. 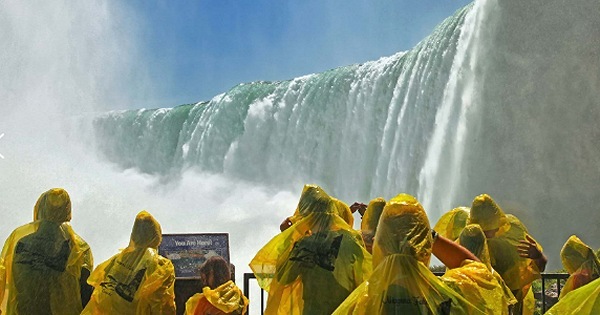 Sailed through the Great Niagara Gorge into the very heart of world-famous Horseshoe Falls where the misty spray and mighty roar of Niagara Falls will surround you. Explored three centuries of history, culture, and invention at the outstanding Henry Ford Museum in Detroit. Dove into fascinating chapters of music history at the Rock and Roll Hall of Fame in Cleveland where unique exhibits explore the lives and work of some of our greatest musicians – and their impact on American history, politics, life and culture. 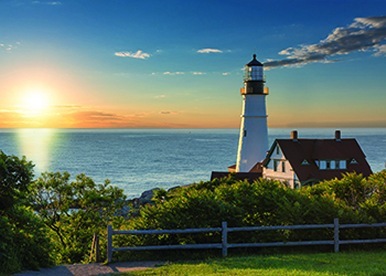 Immersed you in the Victoria-era charm of Mackinac Island as you explore by horse-drawn carriage and visit historic Fort Mackinac, which played an important role in the War of 1812. Took you to Toronto, North America’s fourth largest city and home to some of the world’s finest restaurants, alongside happening bars and clubs and world-class museums. *All inclusive price is $3,989 (pp + port charges) discounted from $6,389 per person. Based on double occupancy and Category E stateroom (pictured below). 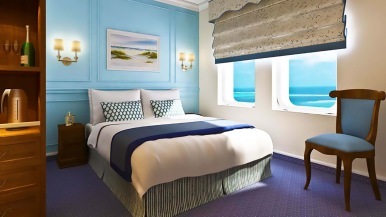 The Victory’s staterooms and suites are all ocean view with personal service and daily housekeeping that caters to your preference with a luxury pillow menu and premium mattresses with 100% Egyptian cotton bedding. Relax in your stateroom with luxury robes and slippers and enjoy top of the line environmentally sensitive amenities. Fresh fruit delivered daily. 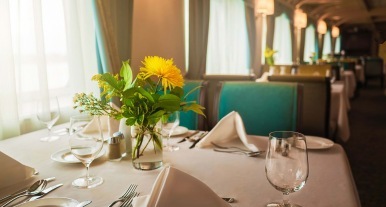 Victory Cruise Lines’ per person fare includes passage, all food and service throughout the cruise including breakfast, lunch and dinner, snacks, and the special High Tea Service. Also featured are special pre-dinner cocktail parties every evening. 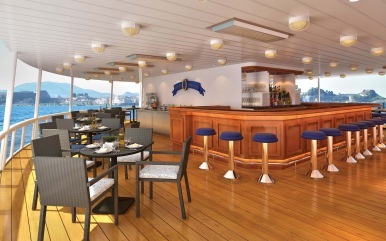 Enjoy our house wine, beer, soft drinks and non-premium alcohol, free of charge, during your entire cruise. Enjoy casual and sophisticated cuisine in two distinctive venues. The Shearwater Dining Room, serving classic epicurean delights including, perfectly Roasted Rack of Lamb Dijonnaise or Pan Seared Scallops Provençal. Try the Chicken with Roasted Vegetables or Miso Glazed Atlantic Cod or a perfectly Roasted Prime Rib of Beef with Creamy Horseradish Sauce. For more casual fare, enjoy the view from the Cliff Rock Bar & Grille with selections including Black Angus NY Sirloin, marinated Atlantic Salmon, and Ahi Tuna. Sound like the relaxing vacation of your dreams? 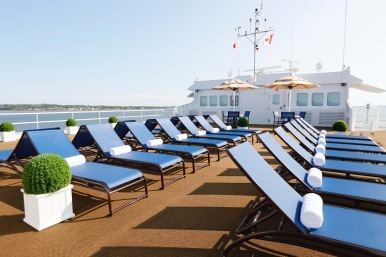 This special price is good on 9-day cruises departing Chicago (heading North) on May 22, June 9, June 27, August 20 and October 13; and departing Toronto (heading South) on May 13, May 31, August 11, August 29 and October 4. Don’t miss this chance to save thousands of dollars on this iconic Great Lakes Cruise!